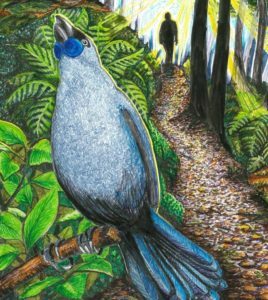 Imagine taking time to nurture yourself and share nature connection techniques with like-minded wildsters, over 2 chilly outside days and cosy indoor nights, all near the home of the Kokako. Whether you choose to lead a session, or just join in, you will not regret dedicating midwinter 2018 to re-wilding yourself. 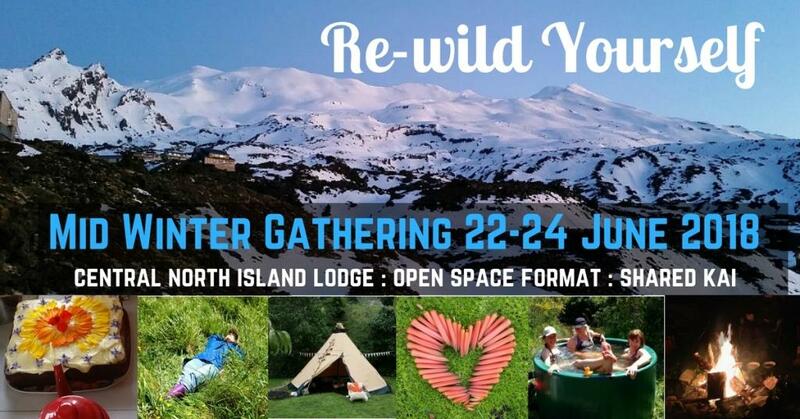 This gathering is for 12 or so people who are keen to share their nature connection skills with each other while celebrating mid-winter. You will already be practising or developing your nature connection style and have an open approach to learning and sharing in this growing practice. The “open space” format means that anyone can lead a session and choose which sessions to participate in. Liana Stupples will be your host, weaving the weekend together. Get in touch with Liana to apply for the limited spaces for this event. We will on the edge of Pureora Forest Park and near the Timber Trail off road cycle route between te Kuiti and Taumaranui. This area has been described as “one of the most significant sites of natural and cultural history interest in New Zealand”. Our base will be the rustic self-catering Forge at Black Fern Lodge situated on 5 acres, surrounded by the Ongarue River and a majestic waterfall. The Forge has bunk style accommodation, but separate rooms are available for extra, if you get in early. That is just a few ideas for a start. What ideas will you bring? You will make your own way there, but we will endeavour to arrange car sharing offers. Arrive sometime Friday, leave Sunday or Monday (tbc). Once there, there is a minibus to transport us. You may want to bring a mountain bike. Get in touch with Liana. A 50% (*) deposit secures your place. Once you are accepted she will host an online discussion to help us create a mutually awesome weekend. There will be a detailed gear list. *Deposits are non-refundable, but can be transferred to another person.